In January 2004, I called Magnus Carlsen the Mozart of Chess for the first time. It was a spontaneous, last-minute decision to meet a deadline for my column in the Washington Post. The name was picked up immediately and spread around quickly. It was used, misused, overused. Even the television network CBS could not resist the temptation last Sunday to compare the world's top-rated chess player to the famous Austrian composer. They titled a 60 Minutes segment on Magnus Carlsen "The Mozart of Chess." The Spaniards took it a bit further in May 2007. Carlsen was supposed to fly to Valencia to play a simultaneous exhibition. At the same time, the film director Milos Forman was there, presenting a jazz opera, "A Walk Worthwhile." In 1985, Forman won one of his two Oscars for his movie Amadeus. It didn't take long to make the connection between the chess Mozart and the cinematic Amadeus. Forman and Carlsen met and played chess. "Now I don't know what to do," said Amadeus after a few moves, hoping Carlsen might give him some advice. Mozart remained silent, but when Forman made a move, he said: "Not bad, not bad at all." "At that moment," Forman later recalled, "I felt like I just won an Oscar." Encouraged, Amadeus pressed his luck and offered a draw. Carlsen politely declined and soon won the game. Despite all the publicity the unassuming Carlsen didn't seem to be happy about being compared to Mozart. He was probably fed up with the name for some time and rightly so. I watched in horror as reporters stuck microphones in his face, asking: "How does it feel being called the Mozart of Chess?" 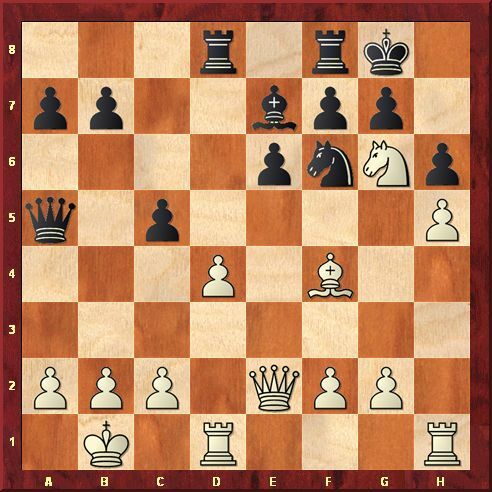 The moniker occurred to me when I was looking for a subhead for Magnus's great game against Sipke Ernst in Wijk aan Zee in 2004. It was a fresh, beautiful, imaginative masterpiece, created with lightness and ease, something Mozart might have composed in music at the age of six. Magnus was 13. 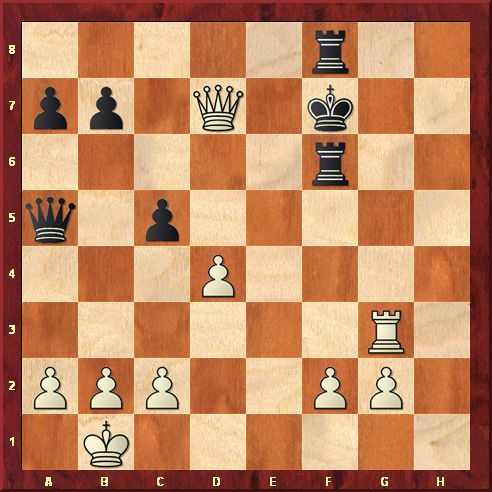 26.Rg3+ Rg6 27.Qe5+ Kxf7 (27...Kh7 28.Qh5+ Rh6 29.Qf5+ Kh8 30.Qe5+ Kh7 31.Qg7 mate.) 28.Qf5+ Rf6 (After 28...Ke7 29.Re3+ wins. Now the game ends with an epaulette mate.) 29.Qd7 mate. Bobby Fischer was also 13 when he was called the chess Mozart for his astonishing victory against Donald Byrne in 1956. Even long after he outlived his talent, Fischer considered it his best game. Carlsen's win over Ernst introduced him to the chess world. He still has plenty of time to create even better games. 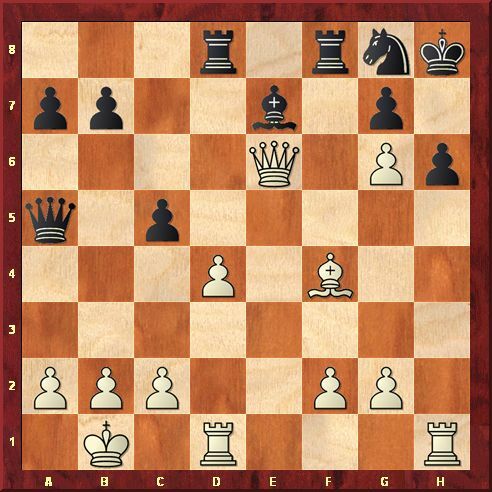 Garry Kasparov composed his signature game against Veselin Topalov in Wijk aan Zee in 1999 at the age of 35. The brilliant American, Paul Morphy, who dominated the chess world in the late 1850s, was another chess Mozart. You can play over his marvelous victory against Duke of Brunswick and Count Isouard de Vauvenargue in the Paris opera in 1858 to understand why. Morphy was 21 at that time, Carlsen is 21 now. In CBS's 60 Minutes last Sunday, Bob Simon said: "You could not understand what Mozart did when he did it - it came from another world." Carlsen replied: "Was Mozart ever asked how he does this? I would be very impressed if he had a good answer to that. Because I think he would say - it just comes naturally to me, this is what I do."